Lung cancer is a serious lung disease. If not treated timely, it can also claim the life of victim. Do you know how can lung cancer be prevented? You’ll definitely get a comprehensive to this question. But, first learn about the basics of these pulmonary organs. A lung is one of the vital organs of the body. A pair of lungs is present in the ribcage. The ribcage also serves as a protection for the lungs. These elastic sacs play an important role in the process of respiration. Consequently, the blood gets oxygen and delivers it every individual cell. So, normal functioning of lungs is essential for a healthy lifestyle. As it is the case with any other part of the body, the respiratory organ too is susceptible to various diseases. Some pulmonary disorders are life-threatening, for example, lung cancer. It is a wise thing to take care of health while you are healthy. In this article, you will find useful information concerning "How can lung cancer be prevented". The lung cancer involves an excessive, uncontrolled growth of malignant cells in the lung tissues. You can diagnose it through the symptoms of cough, wheezing and shortness of breath. The fatigue and bloody phlegm are some other symptoms. If you do not treat it in early stages, the process of metastasis starts. It can propagate the disease to other organs of the body. Looking at the risk factors, smoking is one of the major causes of lung cancer. There are various other factors that contribute to the onset of the disease. They include air pollution, radon gas and inhalation of asbestos. Meanwhile, genetics also plays its role in this regard. How Can Lung Cancer Be Prevented? 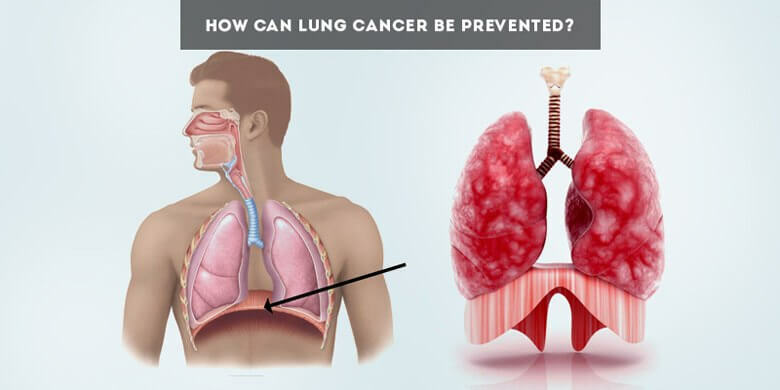 Here is the simple and precise answer to “How can lung cancer be prevented?” You can easily prevent this painful condition by avoiding contact with the causative agents. Meanwhile, it is important for you to learn about two important terms, i.e. risk factor and protective factor. Different harmful chemicals are present in the smoke of cigarettes. These chemicals are injurious to the health of both smokers and non-smokers. One of the serious effects that tobacco smoking can have on your health is that of lung cancer. So, if you are a nonsmoker, never think of going for it. And if you already smoke, you need to quit it without any further delay. Find out if there are any carcinogens at the place where you work. If this be the case, follow the precautionary measures to minimize the contact with them. It becomes even more necessary when the worker is a smoker. 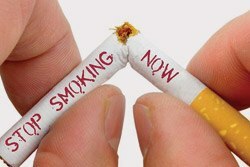 In fact, smoking while working with carcinogens increases the chance of lung cancer by 45 times! In other words, avoiding contact with carcinogens is one of the factors concerning "How can lung cancer be prevented?" By doing so, you can significantly reduce the risk of the disease. Morning walk and exercise has the potential to minimize the risk of lung cancer. At the same time, it will also keep all parts of your body in the best working condition. No disease would find a chance to come near you. However, you should do it on regular basis. Regular physical exertion helps to make your muscles strong. So, you can enjoy more power and energy all the day long. Another great advantage of workout is that it improves the functioning of immune system of your body. The noble gas radon is a tasteless, colorless and odorless. It is usually considered as a risk factor for lung carcinoma. So, avoiding exposure to this radioactive noble gas will serve as a protective factor. The chances of the development of malignant cells in lungs will become less. At the initial step, in this regard, you should test your home for the presence of radon gas. Meanwhile, you should also have knowledge about the production of this gas. What is Radon Gas & How It Is Produced? Radon is a radioactive gas that occurs naturally in soil and the igneous rocks. Sometimes, you can also find it in the well water. The natural breakdown and radioactive decay of uranium results in the production of this gas. Radon gas is very harmful for human health. If contacted, it can cause lung cancer. 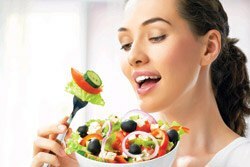 The fresh fruits and vegetables contain various healthful substances. Besides promoting health, these substances also enhance immunity and defense system of the body. In other words, your body’s defense system can work better against the attack of different sorts of diseases. Such diseases include the lung cancer. If this be the case, it is wise to make your diet full of fresh fruits and vegetables. Air pollution significantly contributes to the development of lung cancer. So, try to keep your environment as clean as possible and quit the use of substances that pollute the air. It will be beneficial not only for you but also for the people around you. The things discussed above cannot guarantee the prevention against lung cancer. But they can definitely serve as important protective factors and reduce the risk of the disease. By following these measures, you can also reduce the risk of lots of other diseases. It will also help you improve the lifestyle. For example, smoking is the risk factor for many life-threatening diseases. Regular exercise is the secret behind enhancing physical and mental productivity as well as enjoying life at its fullest.